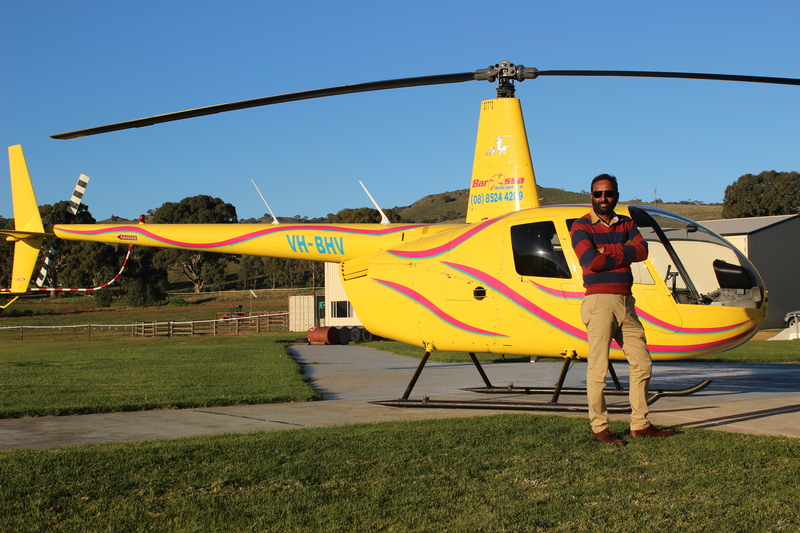 Gurshminder Singh aka Mintu Brar, dropped in for another visit last month, we are always honored to have him at Barossa Helicopters. He is a proud South Australian established journalist and writer promoting Australian values amongst Indian community and mainstream. Mintu runs and own’s a newspaper “Punjabi Akhbar” and hosts at major online radio station “Harman Radio” (www.harmanradio.com) . In 2014, he released his first book “Kangaroonama” which is about his life experiences and is distributed to 70 countries. Mintu acts as a hub between mainstream community and the Indian community promoting cross events. Mintu was nominated and elected Vice-Secretary by Australian National Sikh Sports and Cultural Council (ANSSACC) to represent South Australian Sikh sports on National level and then elected secretary in organizing committee of the Annual Sikh Games in Adelaide, 2017. This is only a small in-site into Mintu and his achievements. Have a look at this youtube video to see some of the work Mintu has done. OMG!!! We had a phone call to find out if there is a maximum age restriction on who we can take for a flight. The answer was no, and could we book a 10-minute flight for a special birthday surprise. When we met Ada Barclay who was celebrating her 101-year birthday, we were gobsmacked, this woman was amazing and did not look or act her so called age. Not that many of us know what 101 yrs feels like. 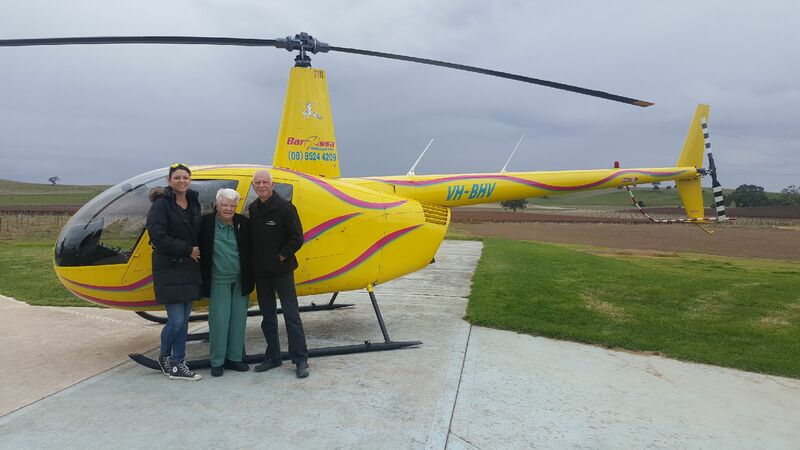 We would love to thank Ada’s family for thinking of Barossa Helicopters as her special birthday surprise. Casey, Thank you for sending through the photos. The photos are of 3 generations, Casey Carter, the granddaughter who organised the surprise, Doug Ada’s son and of course that very special lady, Ada.